We are pleased to announce that Josh Maggert has accepted the position of Manager, Manufacturing and Engineering - Chatfield. Josh will report directly to the Vice President of Minnesota and Mexico Operations. Josh began his career with Strongwell as a Process Engineer in 2007 after receiving a BS Degree from Winona State University in Composite Engineering. 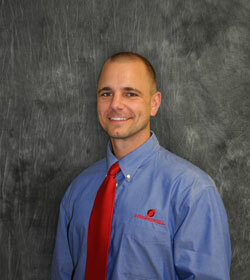 Josh was promoted to Engineering Manager in April, 2013. Josh resides in Winona with his wife Kendra and their son Vincent. They are anxiously awaiting the birth of their second child, who is scheduled to arrive on Friday November, 4th. Please join us in congratulating Josh and offering him your support and cooperation in his new and challenging position.